Safe access to rivers, lakes, and streams often requires the use of docks and ramps. 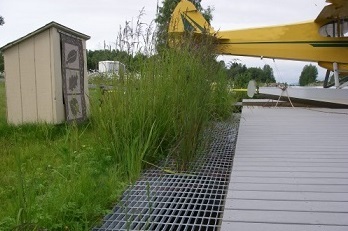 Construction and maintenance of docks and ramps in anadromous water bodies generally requires a Fish Habitat Permit for construction and maintenance. Contact your local Division of Habitat office for more information on permitting requirements and assistance with design and construction techniques that avoid or minimize impacts to fish and habitat.